I really don't know if it's only me or somebody else who ever transfered their IRA assets from Scottrade to Vanguard had the same terrible experience. After my last conversation with Vanguard more than two weeks ago, I thought all the troubles I had with Vanguard were behind me and the last chapter of the nearly two-months old transfer process was a response from Scottrade of the transfer request. Last Friday night, I did get a response from my local Scottrade office, but it wasn't really the one I expected. So the trouble went on. On the last page of the Vanguard IRA asset transfer form, there is a note before the signature, saying "Please check with the financial institution from which you are transferring assets to determine whether you must get a signature guarantee before that institution will release your IRA assets." So the day before I mailed out the application form, I called my local Scottrade office and explicitly told them that I will transfer part of my IRA assets out of Scottrade to Vanguard and I want to know if they need a signature guarantee in order to release the assets. Whoever answered the phone (I am not sure if it was the office manager himself as they also have several people in the office and I contacted with them quite often) told me that's not needed. All they need is a request from Vanguard then they can release the assets. I took their words and didn't get the guarantee. 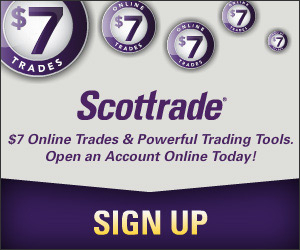 The response from Scottrade last Friday was a call from the branch manager and the message, as you may expect, was asking me to get a signature guarantee! I mean from Vanguard to Scottrade, did the people talked know what they were talking? Or they just gave irresponsible answers, knowing they won't be held accountable for minor cases like this? And that's indeed the case. When I called Scottrade this morning and asked the office manager whey they gave me faulty information last time, he said they are humans and they made errors, plus they don't memorize all the rules!!! Human errors, that's a handy excuse. After nearly two months of wander, the paper I signed on September 26th came back to me on November 18th! Lesson learned: Do whatever you have to do if it isn't too much trouble and don't rely on those CSRs. Often times they don't know what they are talking about! BTW, remember last time when I called Vanguard and a CSR told me he couldn't tell whether it's a "1" or "6" in my checking account number? With the returned paper, there is a copy of that check I sent to them and guess what, the check number printed after the account number is "1675"!!!! If it's you, what are you going to say? If you enjoyed reading this post, subscribe the RSS feed. I understand your frustration. I have the same problems fighting with my medical insurance company. It is so unpleasant to deal with them that I procrastinate trying to get my money back — which of course is not good! But to get my money back, I need to deal with these people all the time. It’s really frustrating because with companies like Vanguard, people usually think they can get better services. However, my whole experience so far has been terrible. Especially those CSRs who answer the phone, either they don’t have the knowledge or they don’t really care too much about what they are saying, the answers I got were not consistent many times and had to use my own judgment to determine what I should do. On one hand, I don’t like to deal with them at all. On the other, I have to because the limited choices.